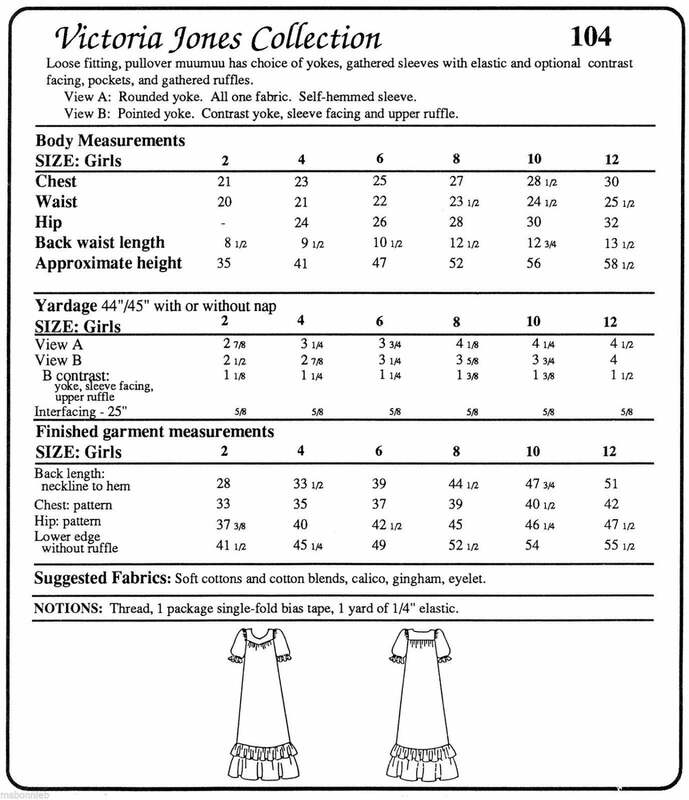 Pattern condition: Uncut, factory folded and complete with instructions. 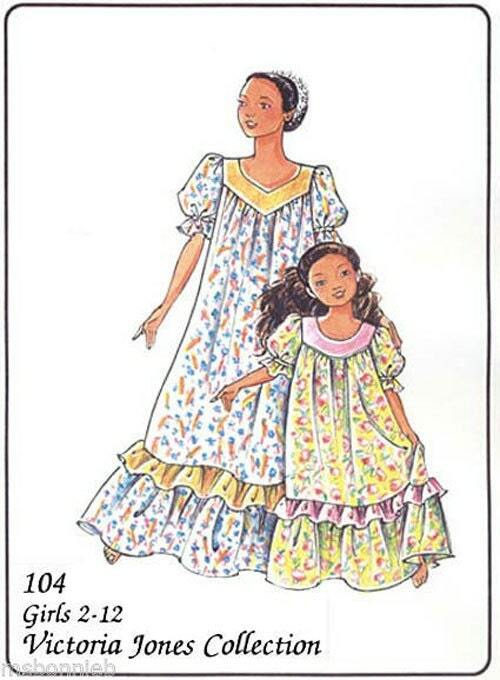 This is the little girls' version of Victoria Jones pattern # 103. Loose fitting, pullover muumuu has choice of yokes, gathered sleeves with elastic and optional contrast facings, pockets, and gathered ruffles. View A: Rounded yoke. All one fabric. Self-hemmed sleeve. View B: Pointed yoke. Contrast yoke, sleeve facing and upper ruffle. 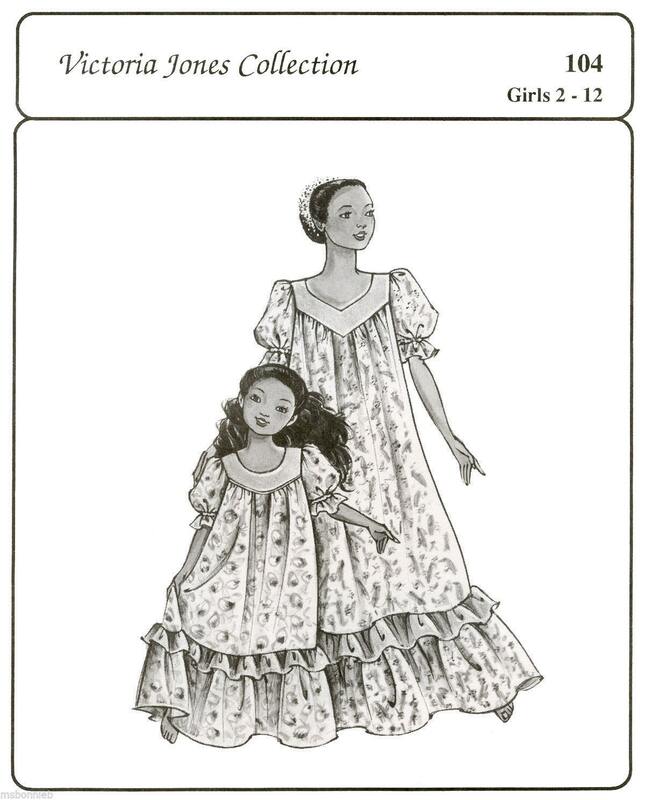 "To simplify, I cut only two ruffle sections (the dress has three) from the whole width of my fabric, matching ruffle seams with dress side seams. I don't interface the yoke or use pockets. I put the bias sleeve casing on the outside of the sleeve so that the sleeve ties can be adjusted. Sometimes I add a small triangular insert for the neckline. " Please note: the envelope cover is printed in black and white. The color image is used with permission from Victoria Jones.